The picky hubby has quick breads on his long list of dislikes, but my children adore pumpkin bread. Especially THIS classic pumpkin bread. I had two small loaves in the freezer and I retrieved them for Nick’s finals week. I know, I know, a high protein breakfast would have been better brain food, but this made my sophomore smile (a hard thing to do with all those tests looming). 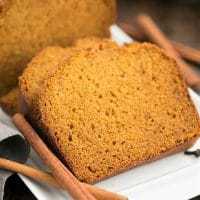 This moist pumpkin bread recipe came from Severa Vandergaast, our Dutch neighbor growing up who talked a mile a minute with a charming accent. A loaf of this spicy deliciousness would arrive each Christmas as a gift for our family. We’d practically inhale slices of this bread, then beg my mom to bake another so we could slather warm slices with cold butter. 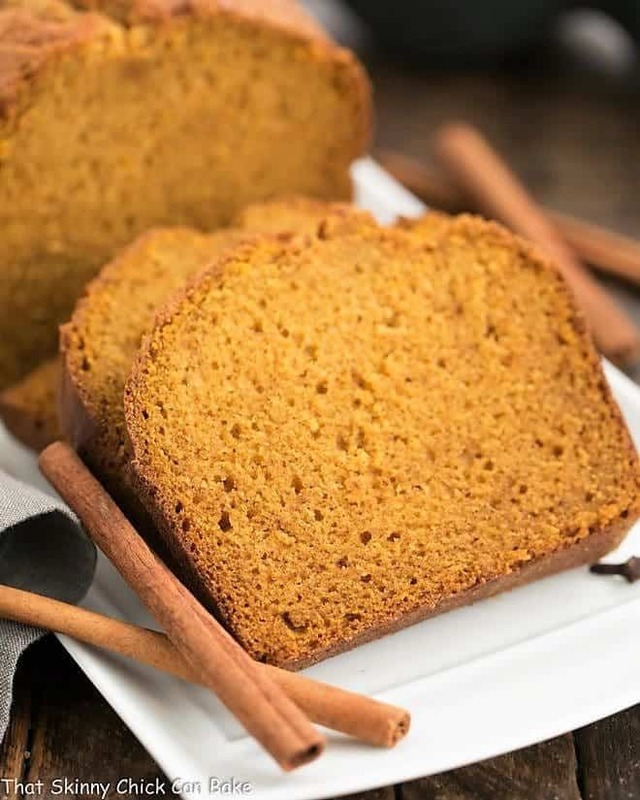 Dense, moist and full of warm spices, this recipe is perfect for a truly classic pumpkin bread. No chocolate chips or streusel needed (though I’ve shared those loaves, too). It’s wonderful just as it is! As with all quick breads, once the liquids are mixed with the dry ingredients, it’s imperative not to over-mix. This will create tunnels, which won’t change the taste of the bread, but it sure looks better with a fine crumb and without loads of holes in every slice. Either mix by hand or use the paddle attachment on your mixer and mix on low, stopping as soon as the flour is incorporated. Prepare your pan properly so the loaf comes out in one piece. Spray the pan with a non-stick spray. I prefer a product like Baker’s Joy which is a mixture of oil and flour. I also like to line the bottom of the pan with a rectangle of parchment paper, then spray the top of that as well. Check the middle of the loaf by inserting a toothpick. Pumpkin bread typically develops a crack across the top, and it’s that crack where I like to check for doneness. If it comes out clean, the bread is done. If not, bake 5-10 minutes longer and recheck. If you pull out your loaf too soon, the middle will be raw. If you let it cook too long, the bread will not be as moist. 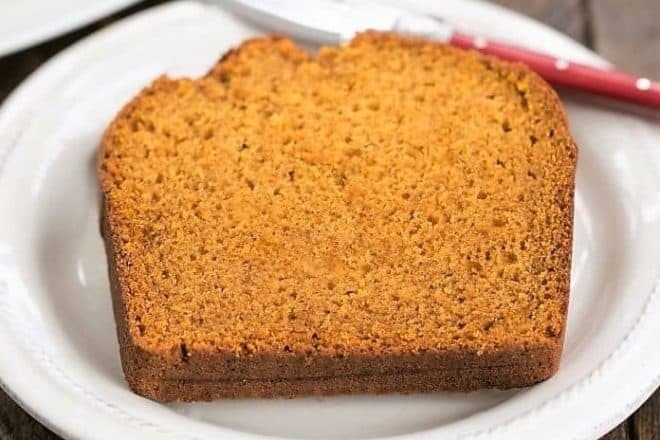 The oil in this recipe makes for a super moist pumpkin bread, but take care to bake just until baked through. 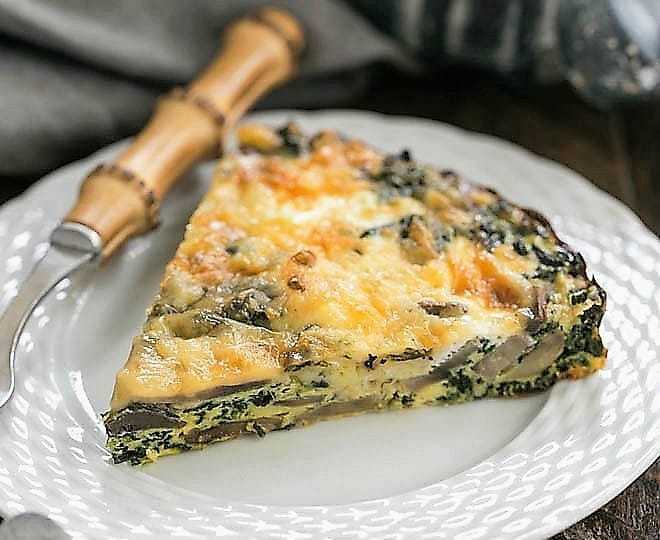 The kind of pan and how your oven bakes varies, so baking times listed in recipes often need to be shortened or extended. You can easily multiply this recipe by 2 or 3. 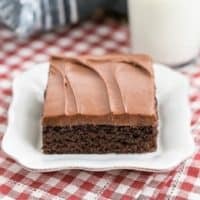 I tend to make a triple batch—one for each of my children! 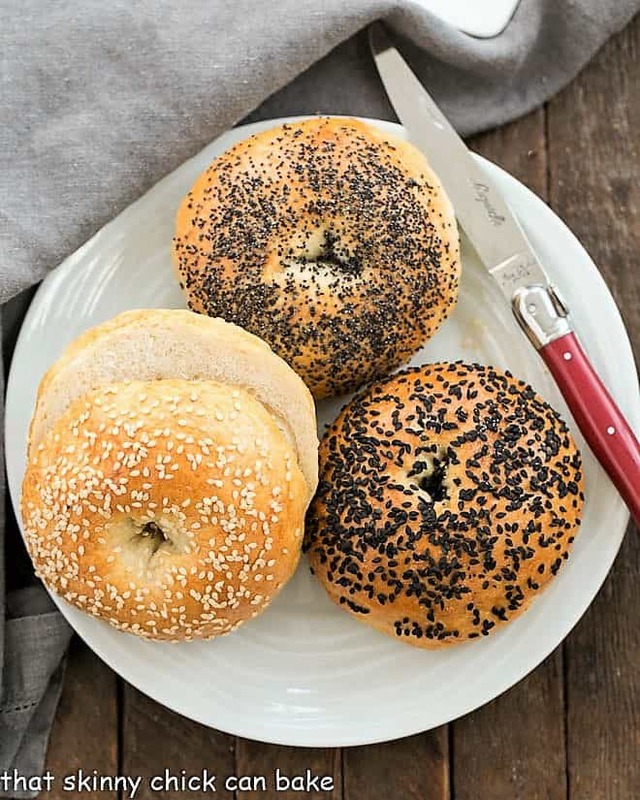 Start with one, but you may end up wanting an extra loaf or two for your freezer! See below how to prepare your bread for freezing. Yes, pumpkin bread freezes well. First cool to room temperature, then wrap well in plastic wrap making it as airtight as possible. Next, wrap well in foil or place the plastic wrapped loaf in a freezer-safe Ziploc bag. Pumpkin bread keeps well in the freezer for up to 3 months. It will still be safe after that time period, but quality may not be as good. Defrost in the refrigerator overnight and serve slices warmed or at room temperature. 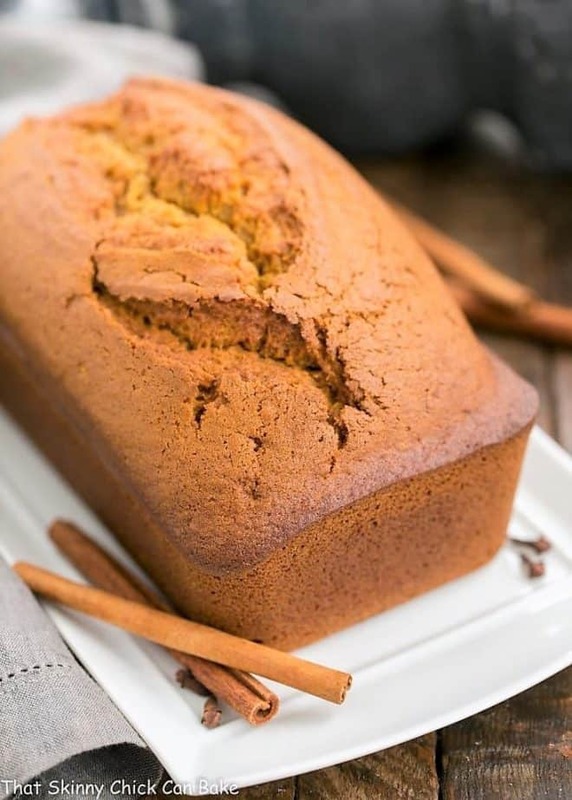 A classic pumpkin bread recipe that’s always a hit! Preheat oven to 350º. Grease one standard loaf pan. I also put a rectangle of parchment on the bottom of the pan and grease that as well. Combine sugar and oil. Add rest of ingredients in order. Bake large pan 1 hour-1 hour 15 minutes or two smaller pans for 40-50 minutes. Check the center of the loaf with a toothpick. It should come out clean after inserting when the loaf is done. Note that a can of pumpkin is typically 15 ounces and not enough to make a double batch. I’ve tried doubling with 15 ounces instead of 2 cups or 16 ounces, and it’s just not as tasty! 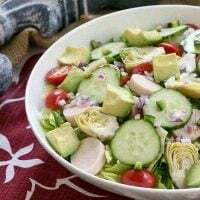 I often triple this recipe and feed the extra pumpkin to Lambeau, our yellow lab, who loves hearing the sound of cans opening in the kitchen! Liz, this is the recipe I use for Pumpkin bread, we love it! At times, I use muffin cups or those tiny individual loaves for baking. I’ve even iced the loaves with cream cheese frosting. 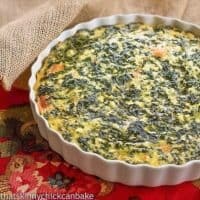 This is a great recipe and yes, it makes the house smell wonderful! IT is legal to eat pumpkin bread in May isn’t it? I think I just might make it for brunch this week. Or maybe cranberry scones. 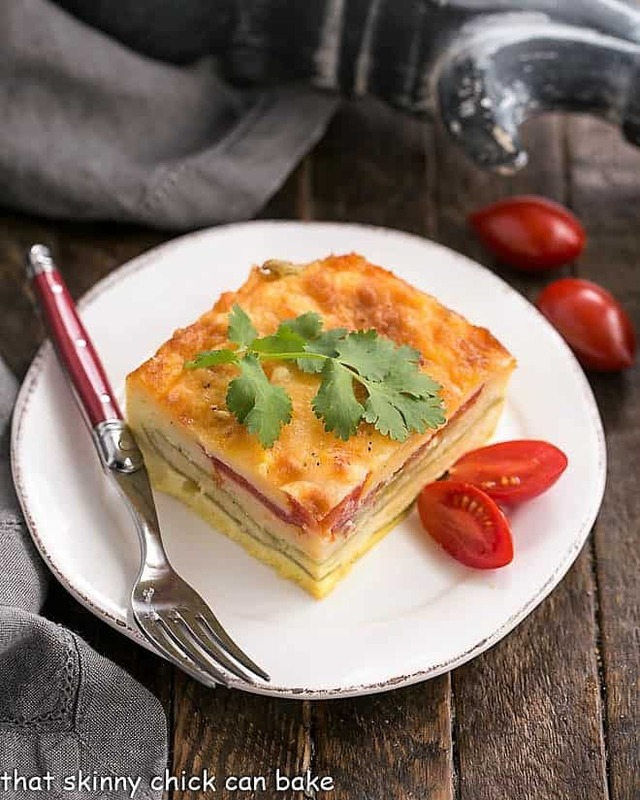 You have so many yummy looking recipes–where to begin? Pumpkin bread is definitely a MUST during Fall season. This looks beautiful! Is it that time again? I love pumpkin bread and are always willing to try a different recipe. I always forget to make Pumpkin bread and I love it. Great idea and tips. We never received pumpkin bread — banana bread was the thing where I grew up — but I definitely want to start this tradition! Great tips on being able to freeze it. I love to make a big batch and then have them ready to roll. Excited to try it! 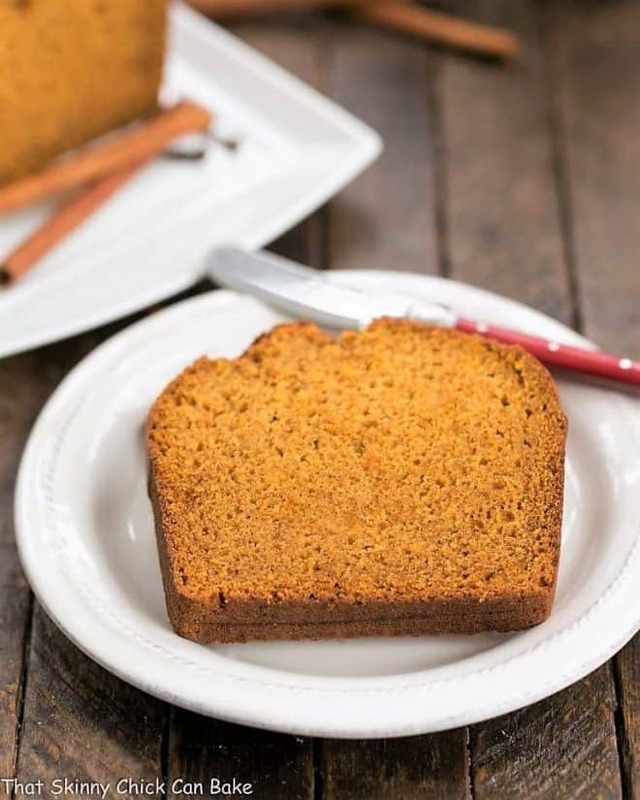 I love the idea of plain and simple pumpkin bread, it is nice being able to enjoy all the spices in it…thanks for sharing this classic recipe. What a perfect pumpkin bread, this is a fall dream! Yum! 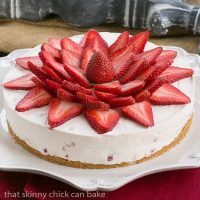 I have to bake this! It comes out so beautifully! This has the perfect crumb and density to it. Great pumpkin flavor too! Such a great way to enjoy pumpkin season! I can’t wait to give this try! My favorite thing to bake in the fall. I love your version!